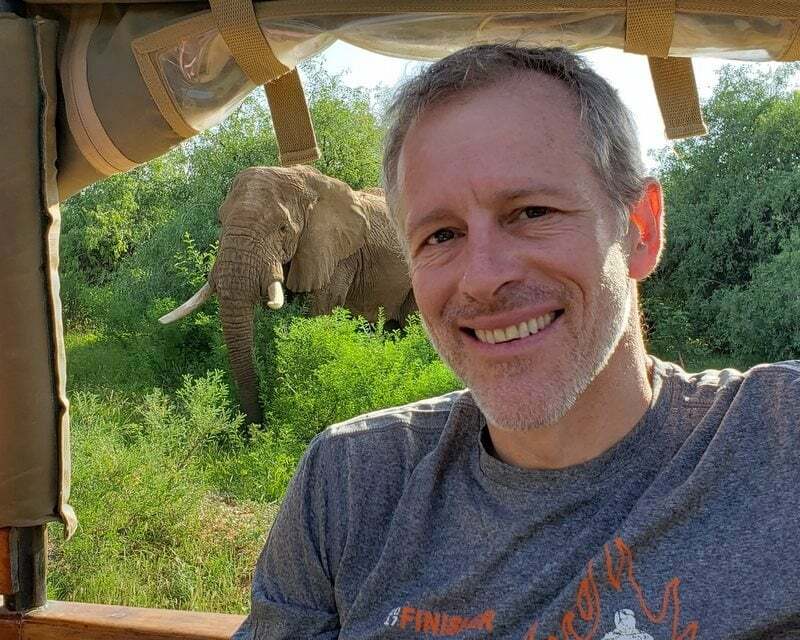 Whitney Tilson’s email to investors claiming he doesn’t hold any positions in stocks he writes about and discusses Tesla’s Model Y reveal as a total bust; JetBlue; Brexit; Life Boat play; college cheating scandal. 1) You may not agree with the bullish or bearish views I express on certain stocks, but one thing you should know is that I’m not talking my book – because in my new position as a newsletter writer, I’m not allowed to have positions in any of the stocks I write about. This prevents conflicts of interest, as there’s never any question about whether I’m putting my investors or my subscribers first. I also think it’ll help me give better advice, as I can tell you from nearly two decades of experience that having a financial stake in a stock can create all sorts of emotional biases. In what we can only describe as a bomb of a presentation, Elon Musk mumbled his way through Thursday's planned Model Y reveal that started fifteen minutes late and ended with the reveal of a vehicle that looked suspiciously like the Model 3. The Model Y, to put it lightly, seemed to be met with a tepid reception, not just from the crowd at the event, but also by Musk himself, who seemed none too enthused to be introducing it. Musk spent the first 45 minutes of the event stumbling through what appeared to be unprepared remarks, briefly reviewing all of the models and factories that Tesla has produced and built since its inception as a company. The first three quarters of the presentation seemed uneasy and melancholy to a degree, with Musk talking fondly about all of the work the company has done over the last decade. ...When the time came for the big reveal, everybody at the presentation, including Musk himself and the crowd seemed completely underwhelmed. Musk almost poignantly asked for the Model Y to be revealed and what rolled out onto the stage looked suspiciously like a Model 3. ...The live "reveal" was hardly met with any applause as the confusion and disappointment from the audience in the room was palpable. Musk himself did not seem enthused by the reveal either. Twitter was also, skeptical, to say the least. When Edmunds says your new SUV “is not a true SUV,” you know you’re in trouble (also check out the scathing commentary). Here is more scathing commentary on Car & Driver’s website. - Tesla’s CEO Elon Musk unveiled the Model Y, which was as expected given all that had been teased recently. - Far more importantly, Elon seemed like he had something on his chest that he couldn’t say at this point, even though he was tempted near the end. - There was no comfort on the current business of any kind, including any positive sales update on hope for a good March quarter. - Looking at Elon’s body language and speech, I got the sense that this was a way for him to provide a biography and a legacy. - I think the probability that Elon will be stepping down his post as Tesla’s CEO, just went up. You can join my Tesla email list by sending a blank email to tsla-subscribe@mailer.kasecapital.com. 3) I’m on a JetBlue (JBLU) flight to San Francisco right now for a weekend with a dozen of my cousins, in what’s becoming an annual tradition of fun and bonding. I love the airline’s free, high-speed "Fly-Fi" – what a contrast to the slow, buggy WiFi on United last week. It’s one of my favorite case studies that I teach in my Lessons from the Trenches: Value Investing Bootcamp. To watch it (and much more), can register for the video series here. British lawmakers voted Thursday to seek to delay Brexit — maybe for weeks, maybe for months — after Prime Minister Theresa May’s plans for leaving the European Union have been repeatedly rejected by a raucous Parliament trying to wrest control from her. …Now Britain almost certainly will not leave the European Union in two weeks — unless E.U. leaders reject its request for an extension and it crashes out with no deal. The vote to delay Brexit passed 412 to 202. Also on Thursday, lawmakers voted against holding a second Brexit referendum, a complete do-over that could reverse the result of the historic June 2016 plebiscite. While many members of Parliament may ultimately back a second referendum — a highly contentious proposal marketed as a “People’s Vote” — even supporters of the move withheld support Thursday, hoping instead to push the idea in tumultuous days to come. 5) I can’t get enough of this college cheating scandal. How such esteemed and reputable people could engage in such obviously scummy behavior is beyond me. Their reputations are forever destroyed – and for what? Their kids were always going to be fine, even if they attended a slightly less elite college. It’s also driven by a sense of entitlement, which exists disproportionately among graduates of all top colleges, but especially Harvard, which is wildly over-represented among those charged (see below). One of my favorite jokes is: How many Harvard guys does it take to screw in a lightbulb? Answer: One – to hold the bulb while the world spins around him. I don’t think I ever suffered from entitlement, but my ego did get out of control after my first dozen years managing money. Starting in 1999 through 2010, I nearly tripled my investors’ money in a flat market and became widely known – I was a regular on CNBC, had been featured on 60 Minutes, etc. This success, by itself, would have put me at high risk for becoming complacent and making many terrible ego-fueled mistakes. But when combined with the pedigree of two Harvard degrees, it really turned my brain to mush – and I paid a big price. This article in the Harvard Crimson, Six Harvard Alumni Charged in Nationwide Admissions Fraud Scandal, revealed that five of the six were rich parents making big payments, and one was on the receiving end, tampering with students’ tests. In other words, five of the 33 parents charged so far are Harvard alumni: two who graduated from the college, two from the business school and one from the law school. I was interested to read this as I’m a graduate of the first two and my wife is a graduate of the latter. According to HBS’s website, there are 46,846 living MBA alumni, 67% (31,387) of whom live in the U.S.
Let’s assume that all HBS alumni are over age 25, so the comparison group is all Americans over this age, which is 67% of the U.S. population, or 224.9 million. Relative to the 6.06%, HBS MBA alumni were 434 times more likely to be caught up in this scandal than the average American adult. But that’s not really a fair comparison, as this malfeasance was only available to the uber-wealthy – the top 1%ers. To give HBS every benefit of the doubt, let’s assume that all of its alumni are in the top 1%. Even with this generous comparison, HBS MBA alumni were still 4.34 times more likely to be caught up in this disgrace. Son defends parents caught in college admissions scandal while smoking blunt. This picture kills me. 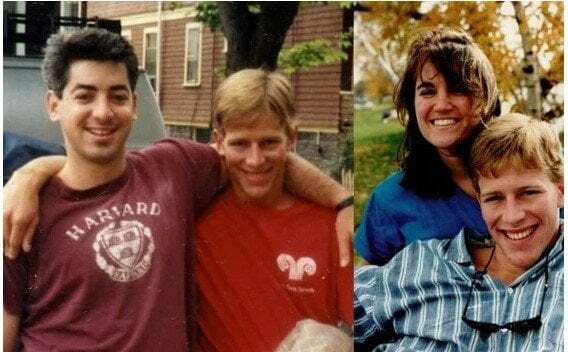 PS—Funny story: in September 1990, when I was working at the Boston Consulting Group, Bill Ackman, who was just starting HBS, invited me to join his college roommate, who was just starting HLS, to crash the law school’s first-year-student-orientation booze cruise of Boston Harbor. It turns out that my wife grew up near Bill in Westchester, so she recognized him and came over and we all started talking...and the rest is history. I married Susan three years later and we just celebrated our 25th anniversary last October. I often kid her that she married the wrong hedgie!